Global lubricant and grease Total Quality Assurance through testing, inspection, regulatory consulting and certification services. Lubricants and greases keep the global industrial economy moving. Ensuring quality and durability requirements are achieved helps maintain dependable operations for machinery and other equipment. From the manufacturing plant to the end-user, Intertek provides a full range of testing, certification, regulatory consulting and inspection services supporting producers and users of industrial and automotive lubricants, greases and other fluids. 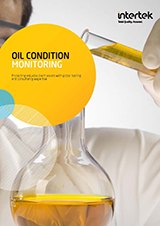 For clients who operate or maintain machinery and systems, we provide a complete range of oil condition monitoring (OCM) services. 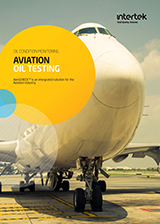 We monitor the condition of fluids used in critical equipment to identify potential failures. Intertek technical experts interpret the data to deliver high value information that enables our clients to make timely decisions on the maintenance of their assets. 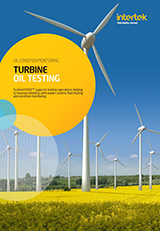 Lubricant quality control testing includes lubricant analysis programmes for large, high-value engines and drive-trains, turbines, ships, trains, generators, offshore platforms and other valuable machinery. In the automotive sector, fuel, lubricant and engine manufacturers benefit from Intertek’s Automotive Research Laboratory world-class testing services . 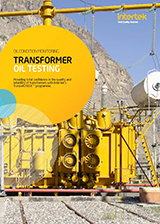 We are a leader in lubricant testing for standardised gasoline and diesel engines, engine and drive-train endurance, durability testing and more. To facilitate global trade, Intertek's experts in regulatory consulting also provide comprehensive support for developing and implementing worldwide regulatory compliance strategies for new and existing products. We offer services related to new product introductions, data development, as well as validation of compliance of existing products with local and global regulations.